Boldenona Undecylenate to many it is also known as Equipoise. Anabolic, originally developed by CIBA for veterinary use. It was intended to use the drug for cattle and horses. However, later EQ began to be used in power and other sports. Equiposis is created by binding an undecylenate of the ester with the structure of the hormone boldenone. After that, it is possible to add sterile oils and a dissolving substance in the likeness of benzyl alcohol to create a suspension based on oils that can be injected intramuscularly. To date, there are no facts to approve the use of the drug directly by man. All goods that exist on the market are legal only when used for animals, or the product is a product of underground (illegal) laboratories. The molecule of boldenone has some similarity to that of methandienone (dianabol). However, in practice it manifests itself quite differently. Dianabol is a 17-alpha alkylated hormone with a half-life of about 8 hours. While Equipoise lacks a group of 17aa, but in fact has a very long chain of Boldenona Undecylenate ether, applied instead. Enzymes in the liver eventually cleave the ester chains from boldenone, releasing it in such a way that the substance can interact with the androgen receptors in the muscle cells. The drug is quite versatile and can be used both on “DRYING”, and during the CYCLE OF MASS. 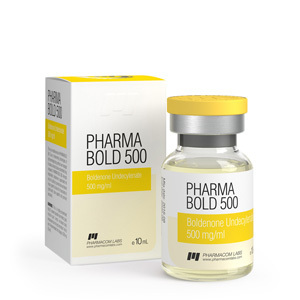 According to many sources, boldenone is a good alternative to nandrolone to the deconate. That is, boldenone shows the same positive effects, provided there are no unpleasant phenomena peculiar to the “deck.” It is a good replacement for the deck, which lifters use. 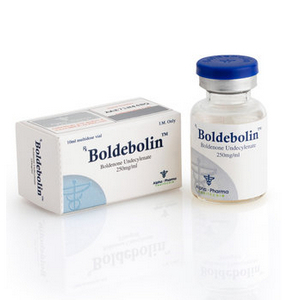 Boldenone is characterized by a fairly long period of half-life, which is why injections are not so frequent on the course, which is quite convenient. The half-life period is approximately 14 days. In addition, the substance remains in the body for several months or even years. Therefore, it should not be used directly during active sports seasons, in order to avoid problems with doping control. As for toxicity for the liver, it is absent. The level of aromatization of the drug is LOW. What effects does Boldenone Undeclynate have? A set of quality muscle mass. 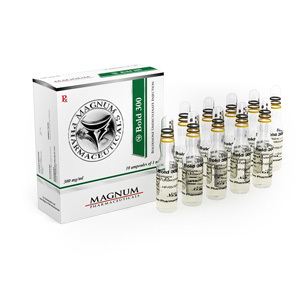 In connection with the high anabolic and low androgenic activity, as well as the almost complete absence of conversion to estrogens, the drug provides small, but stable and “qualitative” muscle growths. In addition, there is no significant retracement after the course, which in the case of other steroids is most often explained by the removal of excess water and glycogen from muscle tissue. 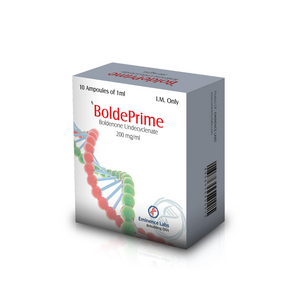 Increased appetite, which is a distinctive feature of boldenone in relation to other anabolics. This effect contributes to the increase in food intake, in connection with which the muscle growths and recovery between training increases. The increase in erythropoietin (EPO) is a stimulating factor, which leads to an increase in the number of red blood cells, and, consequently, a higher availability of oxygen for blood cells and more hemoglobin. This feature of the drug makes it effective for use in sports that require maximum endurance. That is why the use of boldenone in athletics, martial arts, football, baseball etc. is extremely common. Also, this feature can significantly increase the effect of “pumping” and venousness, which will definitely attract bodybuilders at the stage of preparation for the performance. The increase in power indicators without significant increases in their own weight. Due to this, boldenone becomes a good choice for athletes trying to stay in a stable weight category, provided that the result is simultaneously increased. However, competing athletes should take into account that the drug can be found in the body for up to 18 months, therefore, it is necessary to observe due caution when leading to competitions. Possibility for use in women, due to relatively low androgenic activity and a low probability of masculinization effects. Of course, this is only appropriate when using low dosages with a short course duration. Also, the absence of significant androgenic manifestations hinders the development of prostatic hypertrophy and male pattern baldness. Side effects of injections are not common, especially when there are no other drugs on the course. 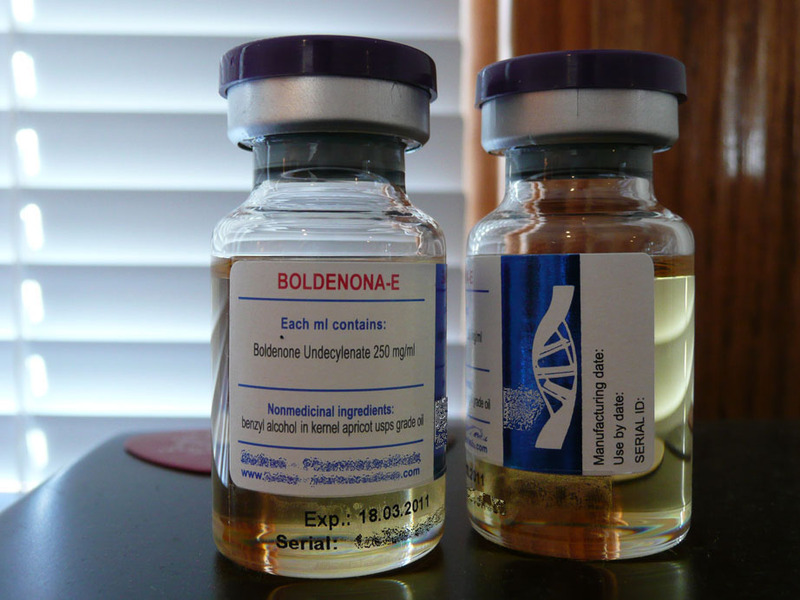 However, like any other anabolic steroid – boldenone is able to cause a significant drop in levels of own testosterone after the completion of the course. In some cases (almost never), there may be swelling and gynecomastia. However, the probability of this is so low that the use of anti-estrogens and aromatase inhibitors remains optional on the boldenone course. When injecting boldenone (especially in the case of large doses), acne often develops in the chest, back and shoulder areas. But fortunately, this manifestation without special efforts is eliminated by applying special lotions or antibacterial soap. In most situations, collisions with side effects occur in athletes using boldenone in combination with other drugs with high androgenic activity. First of all, it should be noted that the optimal dosages that do not exceed 600 milligrams per week. In the event of a deviation in the greater or lesser side, either an inadequate effect or an increased likelihood of side effects is possible. The optimal duration of the course will be 8 to 12 weeks, after which there is a sharp decrease in the effectiveness of the drug. It is quite universal and is used both during the drying period and in the mass-gathering cycle. The combination of boldenone (400-600 mg / week) and testosterone enanthate (250-500 mg / week) , which promotes an increased set of muscle mass. This course is considered to be the best for athletes, only recently started their acquaintance in pharmacology. The situation is exactly this way due to the relative softness of the action, slightly pronounced side effects and simple post-course therapy. This course requires the use of anastrazole or aromazine (to reduce the aromatization of testosterone) and the conduct of PKT by clomid according to the “average” regimen. With a long duration of the course, it directly requires the introduction of chorionic gonadotropin, in order to maintain the secretory capacity of the testicles. On the course, the use of cabergoline (due to the significant progestogenic activity of the trenbolone) is mandatory, as well as intensive post-course therapy upon its completion. 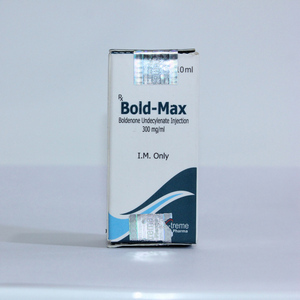 “Solo” course of boldenone (800 mg / week for 10 weeks) . This option can also give a significant response to athletes who have never used pharmacology before. In the end, necessarily carrying out PKT by clomid or tamoxifen. During the drying period, you can use with drugs such as: Trenbolone and Winstrol . After completion of the course of boldenone (as well as many other drugs) it is required not only therapy with antiestrogens, but also restoration of the general condition of the body. In this regard, PCT can include vitamin preparations, chondroprotectors, boosters of own testosterone (Tribulus and D-Aspartic acid). It is also necessary to reduce the intensity and volume of training, in order to avoid the destruction of muscle tissue in the condition of low testosterone. If oral anabolics were present on the course, it would be appropriate to add “hepatic” drugs, for example milk thistle. During the course of boldenone, do not forget about aromatase inhibitors (AI), for example A romasin or A rimidex. 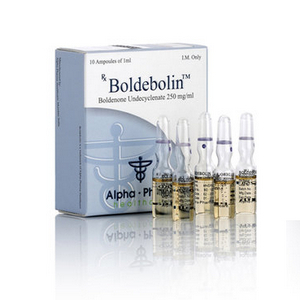 Do not ignore the use of boldenone by women – in this case the dosage should in no case exceed the 50 milligram mark. On average, the dosages for women range from 25-50 mg / week. In addition, if there are prerequisites for masculinization, it is required to immediately stop the course or reduce dosages.